James Ford Obituary - Clinton, Louisiana | Charlet Funeral Home, Inc.
Obituary for James Murrah Ford Jr.
James (Jim) Murrah Ford, Jr., 79 years old, of Wilson, Louisiana, went to be with our Lord, November 6, 2017. He passed away after a valiant battle with Congestive Heart Failure. Born December 13th, 1937 in Eldorado, AR. He grew up in Monroe, La. where he graduated from Neville High School. He went on to graduate from LSU and was a member of Pi Kappa Alpha Fraternity. He was a life long LSU Tigers fan (Geaux Tigers). He married the love is his life Virgie Verbois Ford and enjoyed 56 years of marriage. Besides being a loving Father and Grandfather he was an entrepreneur. Jim was owner and manager of Ford Vending Service, Little Chief Restaurant, Monroe, La. He retired from Olinde's Furniture in Baton Rouge, La. He also loved writing, he wrote many short stories, poems and books. He was published in 2013. He served on several boards over his life time; Pres. 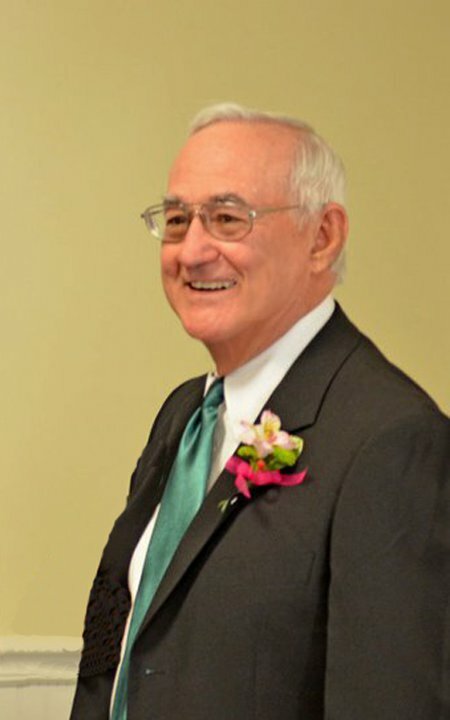 and CEO of Ford Vending Service of Monroe.He was President of Monroe Kiwanis Club, President of LA Vending Assoc., Elder and President of First Christian Church Board, Monroe, me mber of Wilson Community Church where he served on the church board and Sec/Treas. of Eastern Star Cemetery Board, Wilson, La. Jim is survived by his wife, Virgie, his children Renee Ford Zahorchak (Russ) of Wilson, La. and James Allen Ford NY, NY. his grandchildren Hailey Zahorchak Reeves (Storm), Joseph James Zahorchak (Ashley), Jacob Russell Zahorchak, his great- grand children James Flynn Reeves, Suzanne Lauren Reeves and Reed Micheal Reeves, his brother Robert Ford(Ann), niece Susan Ford LaNasa(Tony) and nephew Ryan Ford(Jennifer). His parents, James Murrah Ford, Sr. and Syble Pickle Ford Floyd preceded him in death. To send flowers to the family of James Murrah Ford Jr., please visit our Heartfelt Sympathies Store.